Made from a special high-grade materials. Connect4Power is the preferred choice of training aid by leading golf academies, touring pro's, PGA and LPGA professionals. Connect4Power - Builds Body and Arm Connection for a Powerful & Consistent Golf Swing. Stay connected for power: Build a Powerful and Repeatable golf swing. Promotes proper swing sequence and connection between the arm and the chest..
Take it to the gym: Accelerates your progress and trains proper muscles in your golf swing. • Develops Leading Arm Connection with the chest. • Engages and promotes the use of your bigger-stronger muscles. • Improves timing, tempo and sync. • Improves swing path and corrects over the top move. Leading arm connection is absolutely critical for proper body rotation through impact. Develops proper release of the club with body rotation. 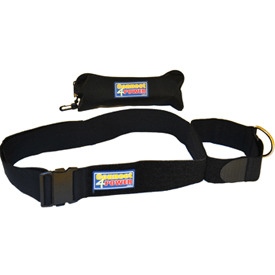 Improves separation between your lower and upper body. If you have any questions regarding the Connect4Power Golf Training Aid, please give us a call, we would be happy to help you with any questions you may have. Write an online review on the Connect4Power Golf Training Aid, and share your thoughts with others.